Chinese company BYD Auto Co. Ltd plans to set up a manufacturing plant in Hyderabad for Electric Vehicles (EVs). Representatives from the company have recently met with Telangana Chief Minister who assured them full support for setting up plant in Hyderabad. The Government of Telangana intends to place order for purchase of 500 electric vehicles. 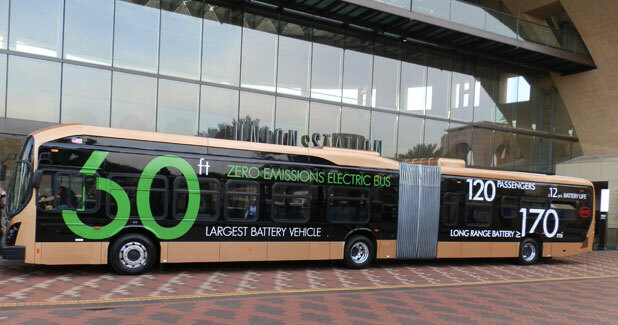 BYD could demonstrate the capabilities of its electric bus offering mentioning that the bus can run 300-400 km on single recharge which hardly takes 3-4 hours. Telangana Government wants to implement the usage of electric vehicles phasewise starting with Greater Hyderabad Municipal Corporation (GHMC) limits and then extending further to vehicles used by Telangana State Road Transport Corporation (TSRTC). EVs are likely to bring down vehicular pollution.